As a substitute or teacher, it is important to establish your expectations at the beginning of class. 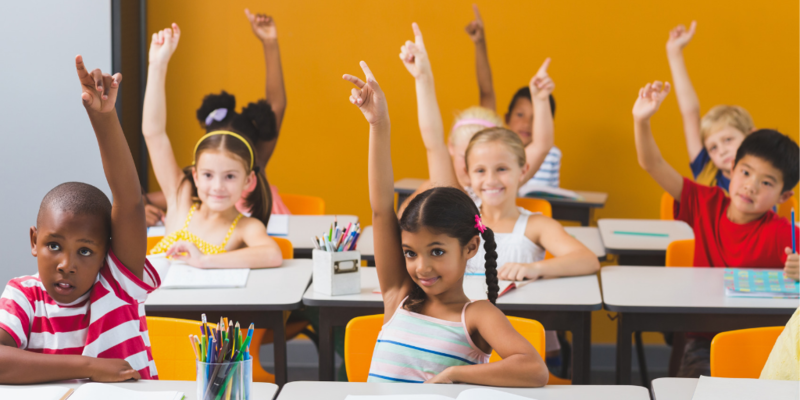 Maintaining a balance between your authority and your connection with students can be difficult, but these simple techniques can help you do both! When you enter a teacher’s classroom, you may have noticed a rules poster on the wall somewhere. Just because you are the temporary educator for the day doesn’t mean you can’t do the same. Creating a rules poster is a great way to establish what you want the day to look like and will keep you from having to repeat yourself. Additionally, students will be familiar with your expectations the next time you come back to their class. This rules poster from Becker’s School Supplies is great because it uses positive statements to indicate what kids are doing right, instead of pointing out bad behavior. 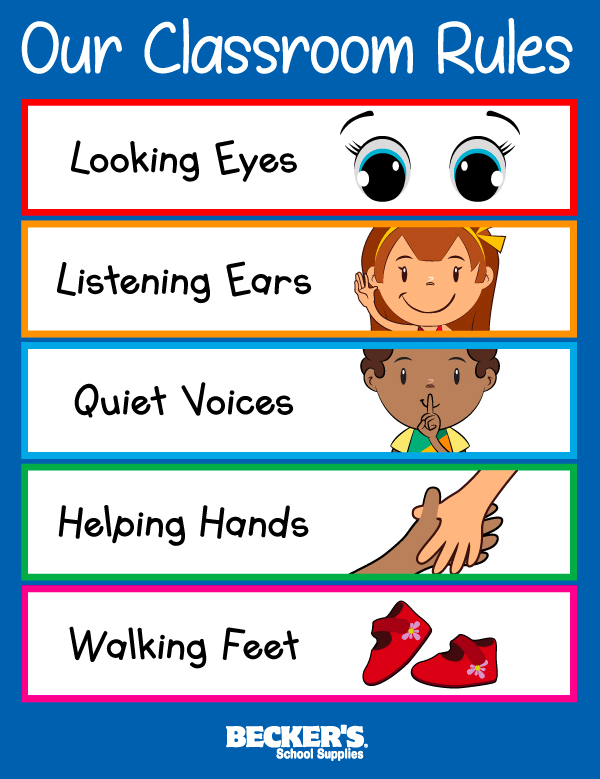 For example, rather than saying “No Running”, it says “Walking Feet”. It communicates what students should do, not what they shouldn’t. Teachers, consider making a separate rules board for when your students have a substitute. Even if the guest teacher is prepared with their own poster, it can never hurt to manage expectations before they even arrive. You can outline how you want students to behave using terms and practices they are already familiar with. 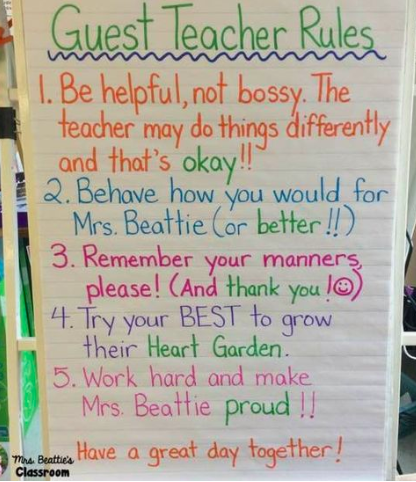 We love this rules poster from Mrs. Beattie’s Classroom! She reminds students that the substitute might handle things a bit differently, but that’s okay. She also refers to daily practices that the students already know. This way, they will hold each other accountable to their classroom rules and offer their sub the same respect they offer their regular teacher. Excellent! Do you have any ideas for what you would include in a substitute rules poster? Tell us in the comments!